St Georges University Hospitals Interactive training environment: St Georges are dedicated to developing exceptional healthcare professionals who meet today’s needs and tomorrow’s challenges. 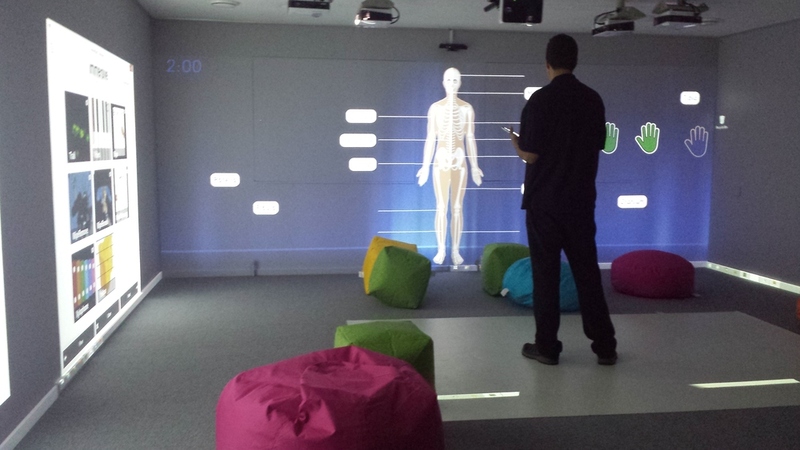 During a recent redevelopment, the paramedic department wanted to increase the fidelity and realism of their training by creating a dedicated immersive room. We helped them to create a realistic and interactive training environment within the School of Paramedic Training. best possible effect, even down to the wall colour and flooring material." We have helped many clients across the emergency service sector create world-class training and education simulation environments. Whatever your requirements, we would love to hear from you.